VIFF 2018—Shot in Vancouver, filmmakers Zach Lipovsky and Adam B. Stein set their secretive supernatural, sci-fi-tinged thriller, elusively titled Freaks, as a mysterious character drama set almost entirely in a single location. Most superficially summed up as Room meets X-Men, the film takes place mostly in a rundown house on an otherwise pleasant-looking block as a father and his "special" seven-year-old daughter, a dishevelled Emile Hirsch and newcomer Lexy Kolker, struggle with an unknown futuristic threat. 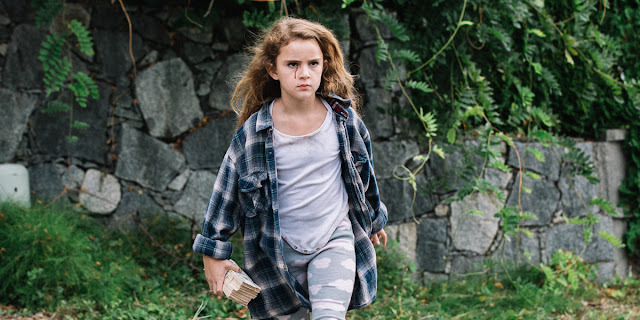 The audience is left in the dark much like Kolker's Chloe who reveals herself to be a strangely superpowered child character of unknown origin. What the post-apocalyptic world or dangers outside exist seem unreliable as more is dramatically revealed about the state of the world beyond the film's intimate setting. 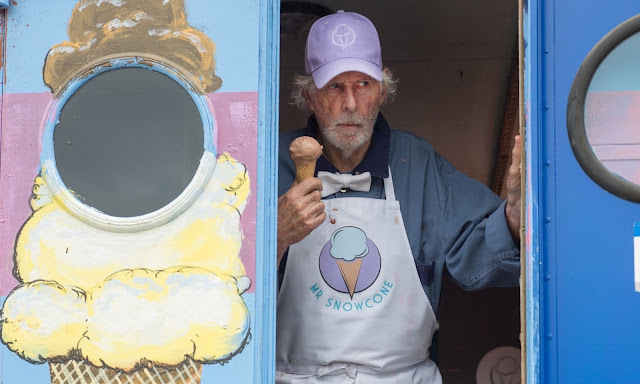 A very creepy Bruce Dern grounds the strange thriller as a snowcone truck vendor. He clearly has more dubious intentions and some sort of connection to the family than first introduced. Amanda Crew really dials it up in a strange but highly stressed performance as a captive woman mentally linked to Chloe's psyche. All the mysterious elements and unknowable character elements keep the audience guessing. Freaks works mostly as a cryptic showcase for the directors' talents for inventively executing as much superheroic action and style on as low a budget as possible. It's a claustrophobic thriller used to enhance the acting talents of its limited cast while building tension for a building resolution to the supernatural family drama. Freaks screens at the 2018 Vancouver International Film Festival as part of the Sea to Sky and BC Spotlight streams.